Just to remind you of a complaint already made, that you have been reluctant to answer. The wrongdoing and complaint remain your responsibility. Do you remember when I came to you homeless in 2010? I was utterly destroyed, traumatized and destitute. I was made that way by Jane Fisher and Lou and Michael Scott-Joynt, who had me destroyed to cover up for the Church of England's wrongdoing relating to two serial abusers who were allowed to access, groom and abuse me, in the second case the abuser was supposed to be under a 'chaperoning policy' as he was a serial abuser, but he was a churchwarden and the vicar and his wife aided and facilitated the churchwarden's abuse of me. When I came to you, you were expressly told that no matter that Michael Scott-Joynt was patron of the homeless services, he had me imprisoned for the church's wrongs and left me homeless and was not on any account, nor his employees, to be involved in my case or use of the homeless services. You completely ignored that and aided and facilitated Michael Scott-Joynt and Jane Fisher in continuing what they had already done to me. Destroying and defaming me for the sake of the church's reputation. This is one of the examples of why churches must not be allowed to run any sort of school or institute for the vulnerable, because you are not neutral or well-behaved towards victims of the church. It brings me no comfort that Michael Scott-Joynt is enjoying his eternity in hell for his hypocritical cruelty and deceit, I am glad that he is dead and I do wish the whole lot of them would join him, but I am enduring hell on earth because of the harm to me that you were part of. As for your friend Jane Fisher, she was allowed to leave quietly, rather than being publicly destroyed and driven from any form of help as I have been. When you took part in, facilitated and aided harm and slander to me when I was a destroyed destitute vulnerable adult, you committed very severe misconduct and harm to a vulnerable adult. Basically what you did was you aided abusers in access to, and abuse of, a vulnerable adult. That is a very short and horribly true statement. Jane Fisher has undoubtedly not faced the full weight of punishment for her wrongdoing, but she was and is an abuser, and you allowed her and the Scott-Joynts to harm me. And what was the end result? You know, and you know because you have been told and you saw, some of it. You left me sleeping rough and unable to access help. And because you didn't act and the related and linked services thus didn't act, Fisher and Scott-Joynt were allowed to go on harming me, making me out to be mad and using my devastated and destroyed state to uphold that, they drove me, a rough sleeper, from Winchester, from Hampshire, from Sussex, lying to police when I had no defence and was in collapse and destroyed, they went on driving me. You may remember, I fled to Scotland to seek refuge from Fisher at one point, and you blatantly and openly lied to the services in Scotland, leaving me forced to come back and go on being abused by Fisher and Scott-Joynt. You enabled and aided sustained abuse against me, you listened to, believed and spread slander of me and made every effort to help Fisher and Scott-Joynt in blackening my name and trying to get me put away. The end result is damage that will never heal, among the adult lifetime of damage by the church that will never heal, and you will read this with cynicism and disbelief because you don't want to be responsible for it and you still want to believe in the people you aided in destroying me. And again, that is why the abusive corrupt church of england must be stopped from involvement with schools and any sort of institution that works with the vulnerable. It doesn't matter that you don't feel to blame for the harm to me and don't want to be to blame, who does willingly take responsibility for themselves? Definitely not anyone connected with the church of england! You remember that Christmas when I wasn't attending the Trinity Centre because of the church's interference? You actually allowed Jane Fisher to come to the Trinity Centre and slander me to my homeless friend 'Haggis' and break my trust for him forever, you allowed Jane Fisher to jeeringly leave things at the centre for me, and her side of the story again. But did you know what else was going on? Of course you did, you knew about the entrapment situation where the Scott-Joynts and Fisher used Julia Wills to destroy me and leave me sobbing in the snow on Christmas eve, but did you know that in the lying accounts to the police by them, they failed to explain why I contacted them, what I was reacting to. I was damned without a voice for the abusers who you aided and facilitated in harming me. I was left sleeping rough long term and condemned as mad and bad, you played a massive part in that, failing your duty of care, preventing me from getting help or housing, upholding the horrific lies by Fisher and the Scott-Joynts that my autism and trauma were madness. You aided abusers in abusing. And every one of you involved should have left by now, and never work with the vulnerable again. Being damned in my home town for my abusers, overriding all data protection and safeguarding regulations, being driven from any form of help and branded and branded, being estranged from my friends, churches and community, being left open to assaults and with access to justice or protection, you are responsible. You are responsible for ignoring my very express instruction when I came to you, that the church were not to be involved. And the damage I carry and suffer because of your serious misconduct, your safeguarding and data protection breaches, your eager aiding of my abusers in their harm while ignoring the fact that I have a side to things, is a serious matter that has neither gone away nor been resolved. I will never get over the damage you did. Your complete disregard for the wishes and safety of a vulnerable adult. And I still want you to deal with it. Do you remember when I first arrived? Phil spent hours whining and moaning about how he was driven out of City Church because of the politics, he really was sorry for himself, he appeared to equate him being unwelcome at City church with what I had endured. And later he was whining and moaning again, this time that it took him hours to register me because of 'my special needs'. I know you are self-important and puffed up and do not want to hear me, this is the way of the church of england and their associates, you blow your trumpets loudly and frequently, and your victim, who has survived atrocities because you aided her abusers in driving her from the homeless services, has to endure you and be re-traumatized. So how about shut the hell up, you are not better than the rest of the work because you work with and wipe your feet all over, the homeless, because no matter how long you work with the homeless and puff yourselves up with pride, a destroyed vulnerable adult sits here with the scars and pain that you are responsible for and want to ignore. Your current patron did the same as Scott-Joynt, he destroyed me, and I have endured an adult lifetime of the church's harm now, I had a childhood of horrors beyond imagining, and then was abused by the church all my adult life. How terrible. Because unfortunately I didn't die on the streets, I lived to learn to fight my abusers with all my strength even though nothing can ever heal me, and death will be the only relief that I can ever know now, and the sooner the better. But I lived to ask for justice from those who failed me, as you did.And I am asking for justice, for any of you who remain, Michelle, Phil, Ed, that silly frothy lying secretary, and anyone else involved in harming me, to leave, and never work with the vulnerable again. It is notable that the lies that you were involved in were in the whitewash report into my case that the church used as a press and media stunt in 2013 when I was still homeless and they publicly destroyed me. In 2011 as Fisher continued to come after me and harass me and have me beaten and locked up by police for reacting to her, I begged Hampshire Social services for protection, instead of protecting me, they illegally and without consent tried to refer me to the nutcase nurse at the Trinity Centre, the Trinity Centre which I fled because of the Trinity Centre's failure to safeguard me from my abusers, and the nutcase nurse at the Trinity Centre knew I wasn't her problem, while the doctor at Trinity was conflicted due to her link with the church harming me. 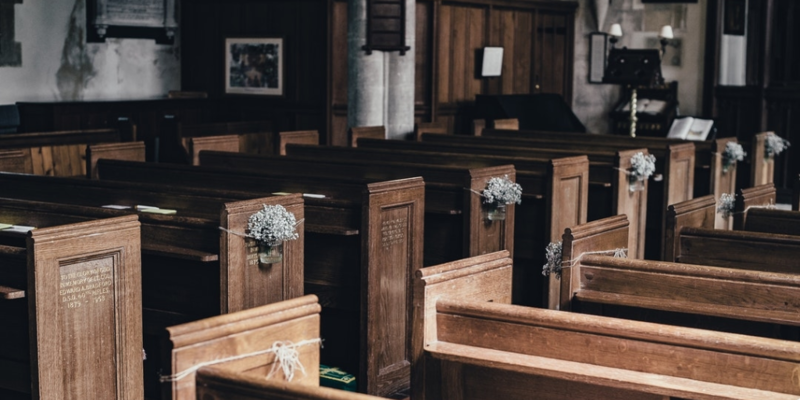 Thus the damage was compounded and continued to be so, and this is why there must be intervention to make sure churches do not get between their victims and safety and help. Social services in their failure, have allowed me to go on being harmed for another six years, and you in your failure have been a massive part in the harm I have suffered. Imagine if it made a straight headline, 'Homeless services aid church abusers in abusing their victim'. I know no matter what I write, you will not want to be responsible, but you are, and you haven't responded to the complaint I have made, so I am posting this online. Remember, the current Bishop is under safeguarding measures for his very very serious harm to me on top of the harm that you enabled the previous Bishop and his safeguarding director to inflict - by the way, what happened to your friend Jane Fisher? She left very quietly, didn't she? She wasn't attacked with hatred and lies in the press for her abuse of me and others, and yes, I wasn't her only victim, others contacted me. But anyway, read the linked letter above and understand that the Bishop is under safeguarding Measures, the church can't get shot of him because the Queen and 10 Downing Street appointed him, he is a politician, the same as the other one who destroyed me, not a Christian, which is why he hid behind an expensive PR firm while destroying me. Finally, after my signature, please read the linked letters and blogs. And get on with addressing the serious formal complaint and the damage you have caused. JJ - the victim who you aided abusers in abusing.